Even at this stage of the war, fliers as likely to be killed in accidents as enemy action. September has been a particularly bad month for accidents so far. Three aircrew have been killed and five taken prisoner so far this month, whilst seven have been killed in accidents. Since the death of William Hilliard on 8 September, the RNAS has lost 4 more pilots to accidents. On 12 September 1915, there was a mid-air collision between a Cauldron G.III (3282) and a Short S38 (65) at RNAS Eastchurch. Flt Sub-Lt James Morrow Alexander and Flt Sub-Lt Macfie Keith-Johnston were both killed. Less than a week later on 18 September, Flt Sub-Lt William Croucher crashed a two-seater into a tree near Bignor Park, Sussex. He was killed but his observer Flt Lt Robert Hilton Jones was only injured. The following day, Flt Sub-Lt Douglas Archibald Hay crashed his BE2c (1133) at Hartlet, about 0.5 miles from Whitley Bay Airfield. The losses have not been confined to the RNAS. 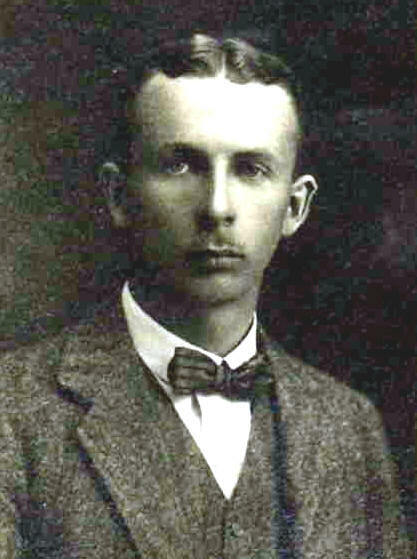 2Lt Geoffrey Brian Hobbs was killed on 7 September. Today, Capt Bindon Blood of 17 Squadron crashed one of the prototype SE4a’s into the ground near Hounslow after doing some sharp turns, losing control of the aircraft and getting into a spin. The petrol tank caught fire and the plane was enveloped in flames, killing Captain Blood. This entry was posted in 1915, Accidents, Home Front, RFC, RNAS and tagged 17 Squadron RFC, 1915, accidents, Bindon Blood, Douglas Archibald Hay, Geoffrey Brian Hobbs, James Morrow Alexander, Macfie Keith-Johnston, RNAS, William Hilliard on September 24, 2015 by sethspeirs. While the First Wing RFC focussed on supporting the artillery, Second and Third Wings, and 12 (Headquarter) Squadron are carrying out strategic bombing. The target for today is the Lille -Valenciennes – Douai train line and the junctions and engine sheds north of Valenciennes. During the day the Douai-Valenciennes line was attacked by 23 aeroplanes of the Third Wing, whilst the Lille-Valenciennes line was bombed by eight aeroplanes of the Second Wing and by three from No 12 Squadron. Hits have been reported on the track near Wallers, on the junction and on the line in front of the engine sheds north of Valenciennes, and a signal cabin near St. Amand was destroyed. The biggest success of the day was A l00lb bomb, dropped from a height of 200 feet by Captain Henry Le Marchant Brock of No. 4 Squadron, who scored a direct hit on the centre of a moving goods train near Somain. The engine and front part of the train continued east towards the junction, leaving the wrecked and rear trucks behind – though these were cleared later in the day. This entry was posted in 1915, Operations, RFC, Western Front and tagged 1 Wing RFC, 1915, 2 Wing RFC, 3 Wing RFC, aerial bombing, Henry Marchand Le Brock, RFC on September 23, 2015 by sethspeirs. Elements of 30 Squadron RFC arrived in Maktau, British East Africa today after a short train ride from Mombasa. Maktau is thirty miles from the German border is the most advanced British armed camp. Space inside the camp is scarce and the landing-ground is located outside. The Bessaneau hangars have been erected inside the camp as the aeroplanes would otherwise be at the mercy of marauding enemy patrols. The squadron has been in Mombasa since the destruction of the SS Konigsberg. Squadron Commander Gordon, left for Mesopotamia on 12 August with the seaplanes. Flight Coomander Cull has remained in charge of the remaining aeroplanes (two Cauldrons) and made the trip to Maktau. This entry was posted in 1915, Deployments, German East Africa, RFC and tagged 1915, 30 Squadron RFC, British East Africa on September 9, 2015 by sethspeirs. 2nd Lieutenants HA Cooper and AJ Insall of 11 Squadron were on patrol today in their Vickers FB5 near Gommecourt when they spotted an LVG below them. They dived to attack and after circling each other a few times, Insall scored a hit and the LVG dived with flames pouring from the exhaust. The Vickers engine then cut out and they were unable to follow. However, eyewitnesses saw the plane crash into the ground. Earlier Captain William Campbell Adamson and his observer Lieutenant Edward Braddyll of 6 Squadron were on an artillery patrol around 5pm in their FE2a (4227) when they met three enemy aircraft over Zillebeke. They successfully drove these off and continued their patrol. A while later over Zandzoode they were hit by anti-aircraft fire and crashed behind enemy lines. Captain Adamson was killed and Lieutenant Braddyll was captured, but died of his wounds a short time later. Captain Adamson was the only son of William Shaw Adamson and his wife Nora Jane, born on 5 November 1886. He was Educated at Fettes College and Trinity Hall, Cambridge. He married Margaret Stancombe on 28 May 1913 and leaves a one year old son also called William. He had gained his flying certoifcate just before war broke out on 17 July 1914 and then joined the RFC. He joined 6 Squadron and went with them to France in October 1914. Lieutenant Braddlyl was the son of Hubert and Nellie Richmond-Gale-Braddyll. He had previously served in the 10th Duke of Cambridge’s Own Lancers (Hodson’s Horse). He had only joined the squadron in July. This entry was posted in 1915, Operations, RFC, Western Front and tagged 11 Squadron RFC, 1915, 6 Squadron RFC, A J Insall, Edward Braddyll, H A Cooper, William Campbell Adamson on September 5, 2015 by sethspeirs. The British submarines have been on patrol in the German Bight for the last few days. They have both been fitted with four 6-pounder high-angle anti-aircraft guns with orders to cruise together for five days and attack, in close co-operation, any airships they meet. The patrol started badly as early on the 2nd of September they had to dive to avoid discovery, and when they came to the surface again they were out of touch with one another. Today, E6 spotted a Zeppelin and opened fire on it. The crew thought they had scored a hit, but the Zeppelin had merely moved off rapidly to get out of range. The Zeppelin clearly reported the presence of the submarine by wireless, as and destroyers arrived rapidly to hunt for the E6. E6 was compelled to dive and was able to escape. The patrol was largely a failure as E4 sighted only one airship, and this was too far off to attack. Today, there was a minor success as they arrested a German trawler and brought it back to Harwich. This entry was posted in 1915, Home Waters, Operations, royal navy and tagged 1915, royal navy, Submarines, zeppelin on September 4, 2015 by sethspeirs. This entry was posted in 1915, German Air Service, Personal Reports, Western Front and tagged 1915, albert dePlace, Oswald Boelcke on August 28, 2015 by sethspeirs. This entry was posted in 1915, Operations, RNAS, Western Front and tagged 1 Wing RNAS, 1915, Harold Rosher, operations on August 27, 2015 by sethspeirs.